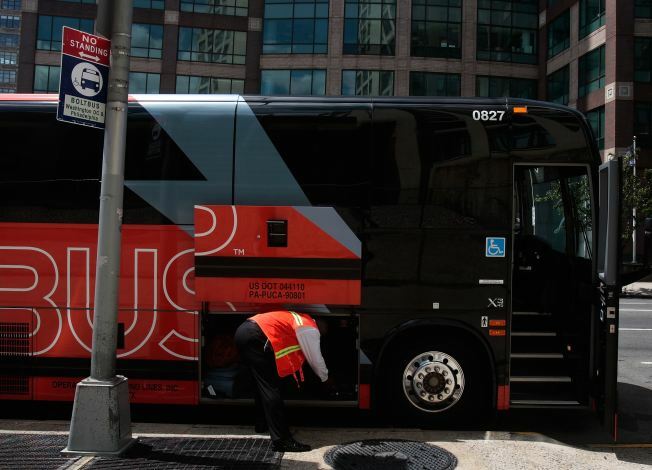 Cheap, and even not-so-cheap buses are lowering their fares to New York City. Now you can ride to Boston in style thanks to a high-end bus service that's offering a deal on its luxury service to New England. LimoLiner, which offers business-class bus service to Boston from New York, is cutting its one-way ticket to $49 through January 31. Amenities on LimoLiner are plentiful, including reclining leather-seats, satellite TV and radio, sockets and plugs at every seat, cell-phone signals, two separate wi-fi bubbles on each bus, and an attendant serving free snacks and drinks - which will soon include fresh-squeezed orange juice on morning buses and free wine on evening buses. By comparison, with enough advance purchase, MegaBus will sell you a ticket to Boston for $1. BoltBus sells tickets on the same route from $10.